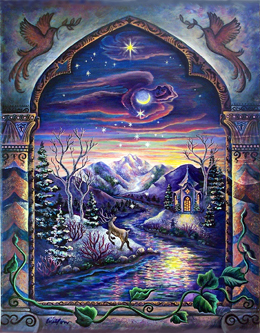 Happy Winter Solstice: Bring Back the Treasures of Darkness! Can you feel it? We’re Shifting in life-altering ways. As we’ve put our focus on empowering ourselves/taking back our energy/untangling our thoughts and emotions from other people and giving ourselves what we need to be healthy and thrive, a certain inner clarity is arising. The Universal OM is emerging from our inner-most places of darkness. In my experience, it feels like my inner Shaman is unusually active and helping me go through some of the deepest realms of my subconscious fears. These Shamanic journeys into my own inner realms have also shown me the vibrational boarders of many of my defense mechanisms (after all, we have come to realize that much of our “empathic ability” developed as a form of survival in this world). In other words, I’ve been exploring/healing/and integrating trigger points on my emotional body, and to be honest, there have been moments where it is scary as f**k! BUT, through all of this, I am finding my inner-strength — the Goddess — the Mother and protector of the sacred realms of emotions, the Wise Crone, the Hag — all the treasures of my inner-world (the Underworld) and all the most valuable secrets of femininity. I can honestly say I am going through a level of empowerment that I have NEVER felt in this lifetime. Ever. It is amazing and terrifying all at the same time. The Universe is asking me to redefine all of my relationships, to evaluate my sense of worth, and to “unplug” as much as humanly possible from diving into other people’s emotional bodies. It is only in THIS way that I am TRULY seeing who I am, what I *really* feel, and what I truly need. I am strengthening my vibrational boarders — meaning ANY vibrational resonances that is close/similar to past relational tendencies I am healing, clearing, shifting out of (and sometimes, even having to lay the smack down with). 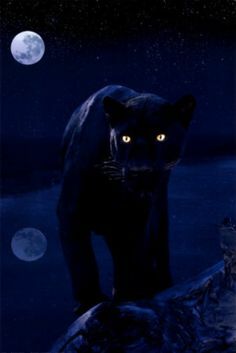 During one mediation I saw a black leopard come out of me — a power animal aspect that I have LONG suppressed (and she’s SO badass — with a type of strength and sense of personal boundaries that I was unable to access until now). When she came out, she stretched (the way cats do) and then started “patrolling” my vibrational boarders. A few times old vibrations (tendencies/relational stuff) have come-up — and she just knocks them out — the way a cat will bat things out of their way. She gracefully and unapologetically says “No. You don’t belong here.” I have felt so empowered by her presence — so inspired by her grace and form. This is what we’re doing. We’re waking up. We’re connecting to our inner-strength (and our MAGIC). We’re healing. And we’re changing — for the better. For the SHIFT. I’ll be talking a lot more about vibrational boarders in my Healing and Empowering the Emotional Body” class, and sharing how I have accessed my inner Shaman, working with power animals to go into our “otherworlds,” and empowering ourselves through our OWN emotional bodies (taking our focus back). I feel this is THE MOST IMPORTANT work I’ve done to date in my life and I’m curious to hear how it’s going for all of you, too. I’ll do a video on this in the next day or so. In the meantime I just wanted to share a bit about my travels through my inner-dimensions — and I’m bringing back with me all the treasures of darkness.